KUALA LUMPUR: Several leaders and political observers have lambasted Parti Keadilan Rakyat (PKR) vice-president Tian Chua who reportedly linked today's shooting incident in Lahad Datu, Sabah, with an allegation of a conspiracy hatched by the Umno government to divert attention and frighten the people. They said Tian Chua's statement was irresponsible and extreme, considering it was about the authorities confronting an armed group from southern Philippines to safeguard the country's peace and security. Former DAP vice-chairman Tunku Abdul Aziz Tunku Ibrahim described the statement as a "standard script of the DAP" which was completely insensitive to the country's security. 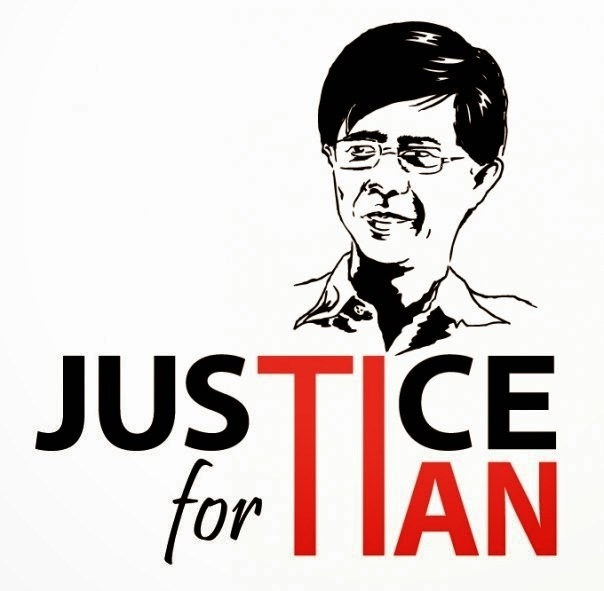 "By making this kind of statement, he (Tian Chua) must be regarded as the lowest form of human life. This is a careless remark which isn't what we expect from a decent human being," he said when contacted by Bernama. Among others, the report also appeared in PKR's official news website which quoted Tian Chua as saying the intrusion in Lahad Datu was a drama of the government to frighten the people, as if the situation in Sabah was unsafe. Two police commandos were slain while three others were injured in a firefight in Kampung Tanduo, Lahad Datu involving a group of armed intruders from southern Philippines, in which 12 intruders were killed. Deputy Minister in the Prime Minister's Department Datuk Ahmad Maslan described Tian Chua's statement as "evil and ignorant" as Umno did not gamble with the country's security. Malay rights group Perkasa president Datuk Ibrahim Ali tagged Tian Chua a "serial liar" who was always finding fault with Umno and the government despite the grave situation (in Lahad Datu). Former president of the Malaysian Ex-Army Association Datuk Muhammad Abdul Ghani said, all parties should come together and not mix politics with the security of the country. Umno's recent decision to withdraw the party's defamation suit against PKR vice president Tian Chua has raised not only eyebrows but numerous questions from even Umno leaders and elders. The allegations, as stated in the above news report published on 2nd of March 2013, were certainly serious enough to invoke the disgust of even the Director of the International Institute of Public Ethics, Tunku Aziz. Umno withdrew the defamation suit although Tian Chua refused to apologise, or so I was told. Correct me if I'm wrong. As it is Tian Chua is yet to be put on the stand for his previous doctored-pic defamation. A case where the offender had publicly admitted his shameless act. Nothing happens to the 'wicked monger' ? Did those who were shot and killed, and those who were injured and maimed in Lahad Datu, sacrifice to be insulted. It's worse when such insult goes unpunished. You shook hands with the evil (as stated by Dtk Ahmad Maslan - Umno's Information chief) and let it go without even an apology, at least to the family of those who died for this nation in Lahad Datu and Semporna? Many in Umno/BN, I believe, still appreciate good values and would go the extra mile to protect them. This is about the dignity of our security forces and the government. You cannot possibly surrender your dignity as bargaining chip in some murky political wheeling and dealing. Should the Government now step forward and put a rest to this spineless new sandiwara? Institute a fresh suit against Tian Chua. Let him explain the whole 'sandiwara' saga. Tian Chua, I think, is not above the law. Correct me if I'm wrong. p/s Wonder what the people of Sabah think about this 'lowest form of human life' now. I've just lost my respect towards UMNO after seeing this far Rauf guy shaking hands with the evil Chua. Day by day UMNO leadership has become more and more diffusing and disgusting . No way UMNO can go through the ext PRU with the present leadership. Are they covertly united on both sides of the apparent political divide? Raof, you are a traitor ! I am a member of the ruling party but the way the issue was settled is beyond moral acceptance. The Secretary can smile while holding the hands of the devil. astaga......There is no quality leadership in UMNO anymore. Pendedahan yg memeranjatkan dibuat oleh bekas ahli DAP, yg juga Presiden Jaringan Cina Malaysia: Anwar Ibrahim Yang Membiayai Pencerobohan Lahad Datu Melalui SUARAM (US$ 2 Juta) mengesahkan Anwar Dalang dalam tragedi Pencerobohan di Lahad Datu Sabah. Lagi terseksa apabila melihat pasukan keselamatan kita diseksa sebelum dibunuh! Anwar memang Dajal! At this level of 'diplomacy' and not doing anything about price hike, it would be lucky enough that umno could survive Pru14. My insight, Pru15 is the turning point of umno and Malay power to follow the way of the Dodos' . in mean time, make friends with singaporeans Malays. Learn how to survive under a dreadful regime. That fat UMNO guy (maybe he's an Indian) has got no principle. Disgusting! Where's your 'maruah'? You didn't even ask for an apology? Stupid! Why are ''Malays'' in M'sia so stupid? Najib Pemimpin Lemah...Jadi DiLantiknya Semua Yang Lemah2 Yang Boddoh, Yg Tiada Otak..
Seluruh Umat Islam digesa Solat Hajat, MNajib TURUN dengan kadar segera..
What to do. Is there a good and better alternative? This act of stupidity by the Umno HQ 'tycoons' is indeed a golden opportunity for Najib to get rid of those traitors. Talk in Puteri Pacific has it that the tycoons have amassed at least 2,000 hectares of virgin/kawasan sudan kerja and are now subservient, not to the party president.